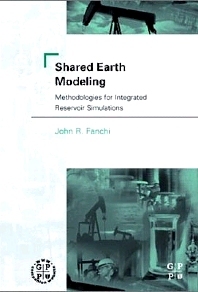 Shared Earth Modeling introduces the reader to the processes and concepts needed to develop shared earth models. Shared earth modeling is a cutting-edge methodology that offers a synthesis of modeling paradigms to the geoscientist and petroleum engineer to increase reservoir output and profitability and decrease guesswork. Topics range from geology, petrophysics, and geophysics to reservoir engineering, reservoir simulation, and reservoir management. Shared Earth Modeling is a technique for combining the efforts of reservoir engineers, geophysicists, and petroleum geologists to create a simulation of a reservoir. Reservoir engineers, geophysicists, and petroleum geologists can create separate simulations of a reservoir that vary depending on the technology each scientist is using. Shared earth modeling allows these scientists to consolidate their findings and create an integrated simulation. This gives a more realistic picture of what the reservoir actually looks like, and thus can drastically cut the costs of drilling and time spent mapping the reservoir.